Boggle Hole - A Year 3/4 Curriculum-linked Residential Field Visit... and a science, geography and art extravaganza! By the Secret Residential Trip Reader! The improbably named Boggle Hole is a mysterious old smugglers cove, situated in a hidden gully, in the middle of Robin Hood's Bay on the east coast of Yorkshire. 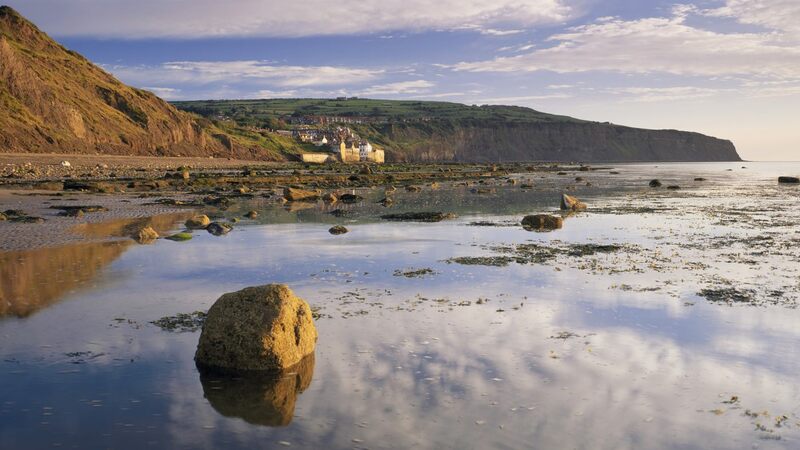 It lies between the idyllic fishing port of Whitby and the busy holiday resort of Scarborough. Boggle Hole is the perfect 'first residential' trip for children. The history, stunning location and local myths inspire and capture the imagination of children and there is also a huge amount to do. The activities in our field visit centred around Robin Hood's Bay itself, but Boggle Hole is part of the canvas that makes up the North Yorkshire National Park, and I've listed some other potential activities and useful links at the end of this page. Boggle Hole IS stunning. However, it's remoteness means that it will take you some time to get there! The best approach from the south is up the A1 and onto the A64 past York. Your SATNAV will try to take you through the beautiful national park, but frankly, you may need to get out the sick bags if you go this way. Especially if your driver likes to swing around corners! The roads veer up and down and around like a 25 miles long roller-coaster! Bitter experience has taught that's it's a much safer option to go all the way to Scarborough and head up the (flatter and straighter) coastal road to Boggle Hole. It's much simpler from the North - just stay on the A171 all the way to Whitby, and chug down southwards down the coastal road. 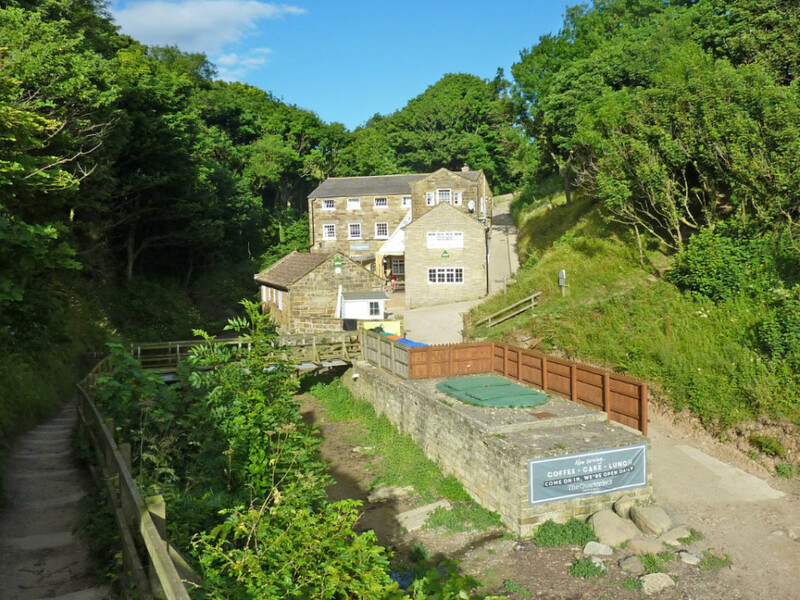 YHA Boggle Hole is the perfect place to stay for school parties of relatively young children. It's fairly small, you can book out areas of the hostel which are segregated by card activated corridor locks (a safeguarding dream) and is very competitive on price. In 2016, it cost us £35 per night, per person (inc. VAT) and this included a hot breakfast, a prepared packed lunch and an evening meal during our first night. It's also worth mentioning that YHA apply a 50% discount to food and accommodation for children who are eligible for free school meals. The food is perfect - pizza, pasta and potato - carb heavy dishes. Wonderful when you've spent the whole day outdoors. Booking couldn't be simpler - just visit the YHA website, assess availability, and then call the sales line. 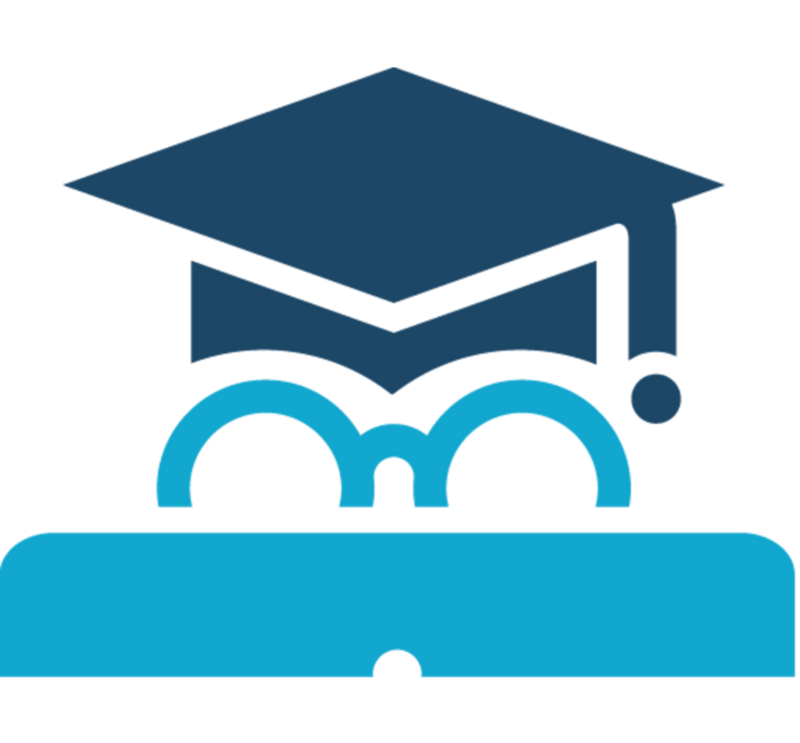 We generally pay 50% of the costs upfront, and the rest 12 weeks before we set off; great if parents are paying in instalments. One thing to bear in mind though is that you can't unload all of your clothing and equipment outside the hostel as it is accessed down a narrow farm track which goes all the way down to the sea. You will need to unload in the public parking area about a quarter of a mile away and walk down hill to the Hostel itself. This really adds to the sense of excitement and adventure with young children. You can either pack light (definitely recommended!) - or my top-tip is to liaise closely with the hostel management and kindly ask them to use one of their 4 wheel drive vehicles to take your supplies to base on arrival! 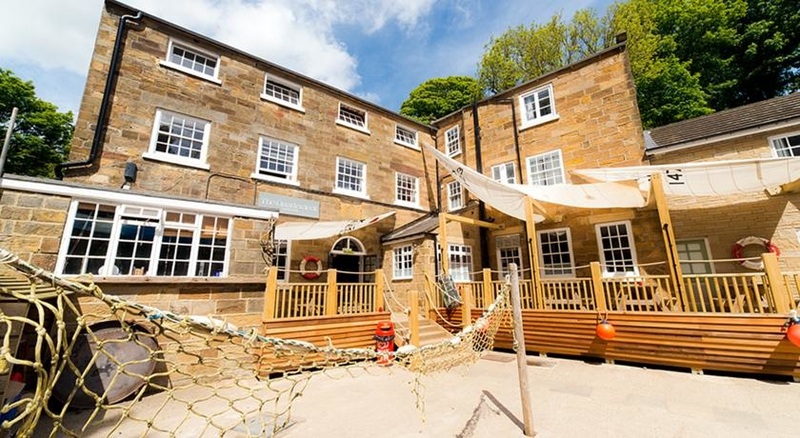 YHA Boggle Hole has recently had a £1.8m upgrade - and the facilities are stunning! A Boggle is a kind of pixie or brownie (perhaps “house elf” would be a more modern term), who would, if treated kindly, be happy to help with household chores, in return for a saucer or two of milk. Mean and ill tempered householders would find Boggles rather less helpful! 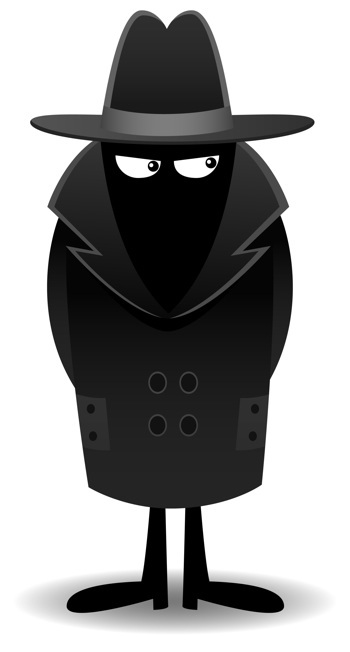 Stories have been told of Boggles smashing dishes, or blowing soot from the chimney all over the house. It is always best to be nice to Boggles! 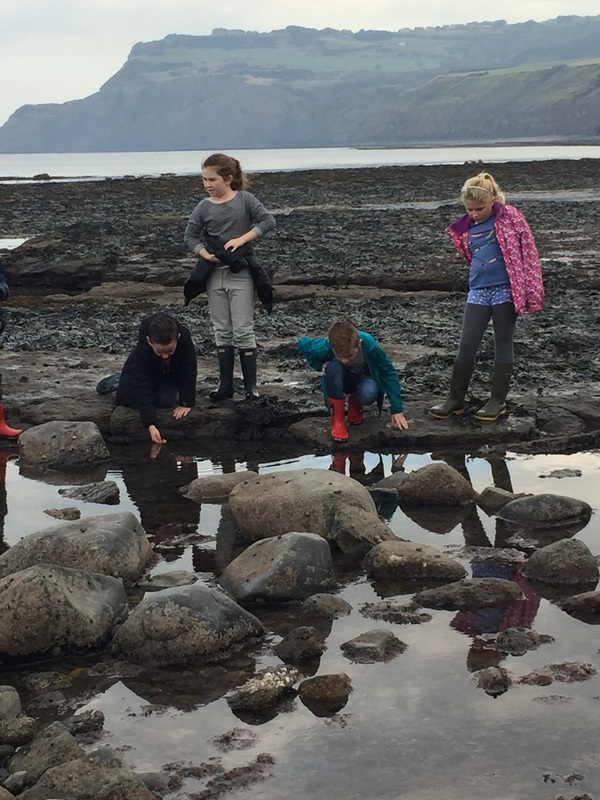 We also had two other considerations with the trip: We we wanted it to coincide with a particularly low tide so that our rock-pooling would be fruitful and we wanted to run it as early in the academic year as possible so that children, teacher (and parents!) would have the opportunity to really get to know each other well. Arrive at the Boggle Hole public car park at 10:15am. The Land Rover awaits to take all of our equipment down to the Hostel. Did we find much? You'd better believe it! So much fun on the rocks! We search for inter-tidal animals for around an hour and a half. The children had been introduced to the topic in science, and had completed some food-web research using our Edmodo learning platform which they accessed from home. The aim of this session was to create one rock-pool full of plants and animals - as many as we could tick off our list, so that when we complete the inter-tidal food web activity in the evening, the children will have seen (and touched!) many of the creatures. Around 12:45, we set off up across the beach to the beautiful fishing village of Robin's Hood Bay. Whilst most of the adults stayed with the main group, two went back to the hostel to collect the Art and photography equipment and take it to the top of the cliffs to await our arrival after lunch. They didn't miss out on the chips, if you are wondering! Along the way, we discussed coastal erosion; the cliffs often collapse into the sea during winter storms. You can see that this has happened clearly from the beach, and you will often find superb fossils. From the top of the cliffs, you can also clearly see how the sea has eroded the land over time from the rock formations in the bay itself at low tide. Again, this was a topic that we began in geography before the trip, and spent some on it afterwards. We had lunch around 1:15pm and by 2pm we were on top of the cliffs, easels and paints in hand and began creating wild landscapes under the tutelage of a superb local landscape artist. We used watercolours today, and the children also took lots of photographs on the class iPads to refer to when they began to use oils in class. Some of the children who finished early also created a podcast and interviewed their peers - and this was later used in ICT. At 4pm we made our way down to the Hostel for a snack and to go through safety rules for the evening, to unpack, to shower and have some free time in the rooms. At 7pm, we begin the evening activities, beginning with a fulsome meal. I admit it: I went back for seconds. And thirds! We all had a delicious Ice-cream and sponge dessert too! By 8pm we were all in the meeting room to complete the follow up activities, debrief on the day, tweet to parents on the class phone and have a bedtime story and hot chocolate. By 9:30pm all the children were back in their rooms for lights out at 9:45pm. One of the boys was homesick - this is where teddies from home come into their own! - and all are asleep by 10:15pm. The grown-ups aren't too far behind! One of the magical things about Boggle Hole is the way that at high-tide, the sea comes up the gully almost to the foot of the hostel. It is truly a stunning sea-view! 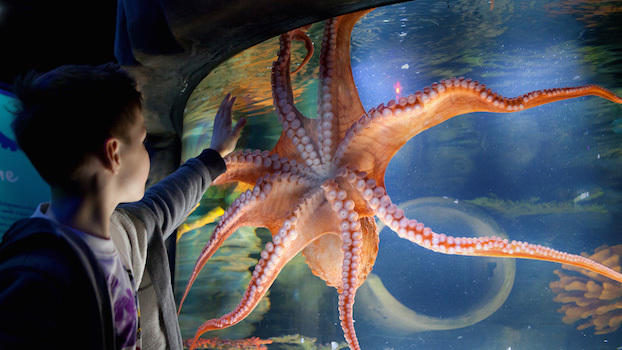 We stayed at the Sea Life Centre until 3pm (we could have stayed much longer) - but we set off home after spending some obligatory time in the shop! One of the great things about this trip is that it is really gentle - it eases children and parents into residential visits, it allows you to get an enormous amount of experiential learning into the curriculum, it bonds new classes and it really builds the self-confidence of the children and makes them feel grown up. We were in the region for 2 days and this limited the amount of activities that we could do, but you could easily give the trip a more historical (or literary) leaning by visiting Whitby Abbey to the North York Moors Railway.